While I’m writing this essay, I’m actually rather hungry and should like to get some food fairly soon, but my inner drive to write is compelling me to ignore this inconvenience. By characterizing myself with an easily-relatable concept, I’m inviting you into the subconscious my mind and this essay more than a surface-level analogy could, which is more like giving you a clean fork and a seat at a table than merely just letting you walk by an open window as I’m cooking. That’s why we have broadly-relatable characters. I’m the sort of person that, when I go to a restaurant, will try the rare or uncommon dish, which is how I found out I love unagi. Most people will just order the chicken teriyaki, which is fine, and I’ll order that too if I just need a functional meal. As a storyteller, I’m learning the value of being like the chef that can have two patrons enter, order unagi and chicken teriyaki, and prepare them at roughly the same time. I’m learning to balance the pathos of deep writing and breezy narratives simultaneously. John and Trishna are like unagi. There isn’t much of a demand yet for unagi teriyaki, or, a mix of functionally, easily-relatable characters [teriyaki] and realistically, psychologically-nuanced characters [unagi]. If that’s my goal as a writer, I have to learn all of the nuances of storytelling, just as I’d have to learn all the nuances of cooking, to figure out how to tap into the interests of patrons. When I invite my chicken teriyaki-ordering friends to try unagi at restaurants, they don’t hate it, but they’re not excited by it either. Why not just cook “chicken teriyaki” dishes? I find limited value/interest in cooking common dishes. Though writing reviews does increase marketability significantly, I’d rather explore my deepest emotions and mental hang-ups. That’s a tough battle to climb for success, sure, but the writing process is more rewarding. Rather than arduously analyzing art, I’m cathartically curing characteristics. 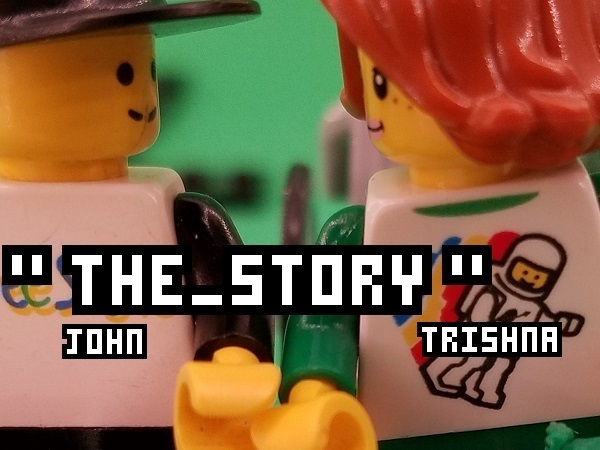 John and Trishna represent the two deepest, most hurt enigmas within my imagination, birthed in childhood pathology, which once exorcised into “The Story” …could help heal others. People just don’t know they’ll love unagi yet. We tend to go for chicken teriyaki because it’s a safe dish. It’s easy, fast, and nourishing. Unagi isn’t the norm, yet, like John and Trishna mutually fighting and overcoming their childhood demons, it’s a delicious delicacy. Exploring our psyches, like a good meal, can satiate the soul. Inspirations: This was originally going to be based on an idea I was telling someone about how I like stories that are like meat and potatoes, but as I thought about the idea, it floundered. Photo: Generic photo to save time. Last Edited: September 18th [15 minutes] – I leaned into the analogy heavily in this final edit; confusingly so? [Sammohini Arc] Some Passive-Aggressive Punkery!